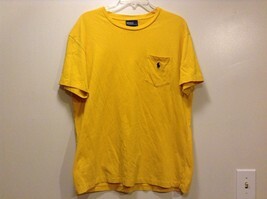 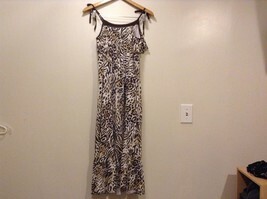 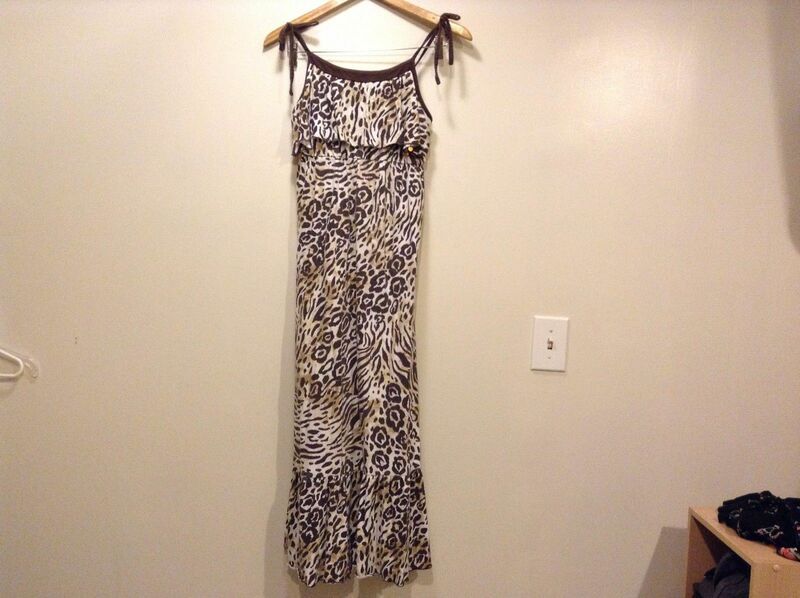 This is a great used condition dress by Justice. 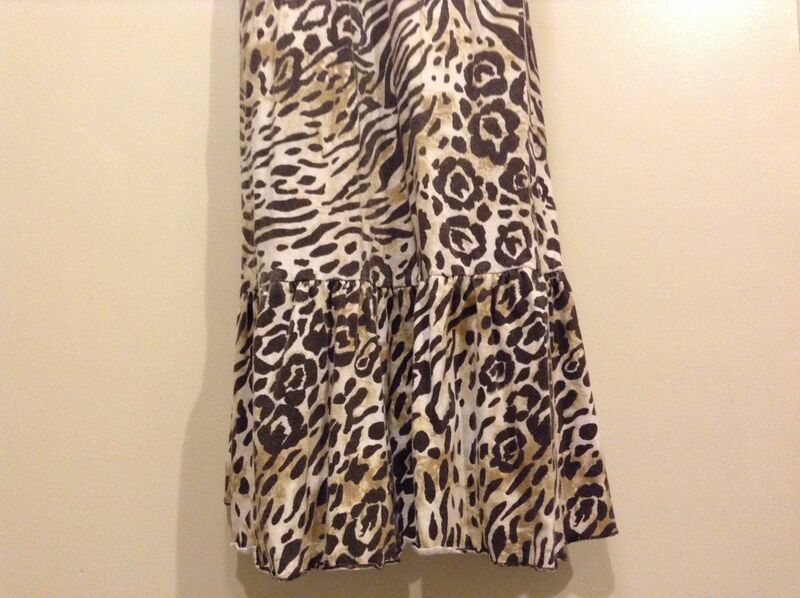 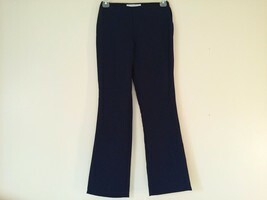 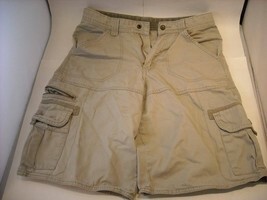 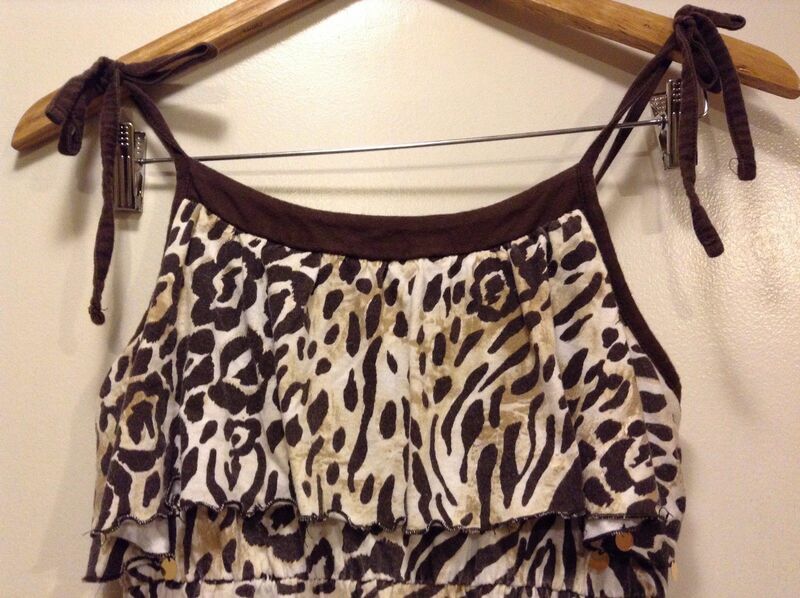 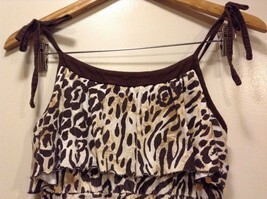 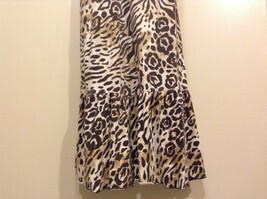 It is a size 16 in animal print and 100% cotton. 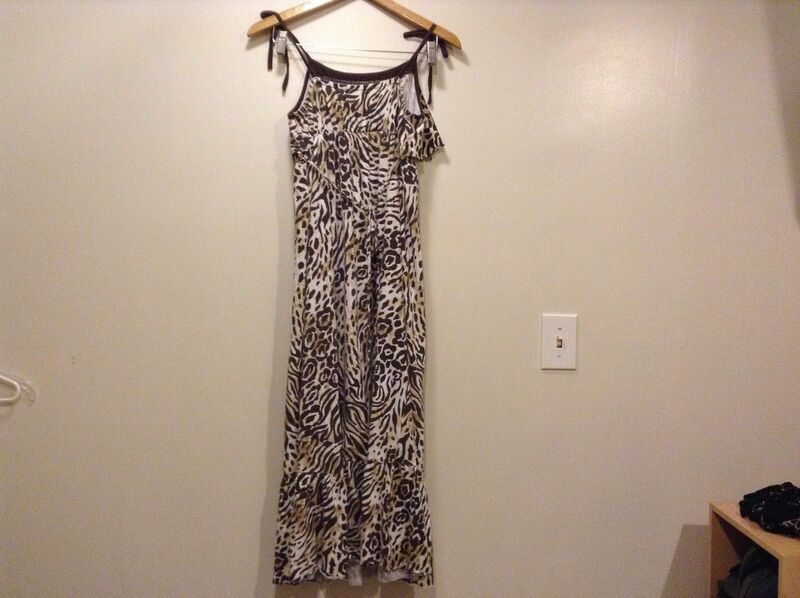 It does have gold tint sequins and features a back strap.